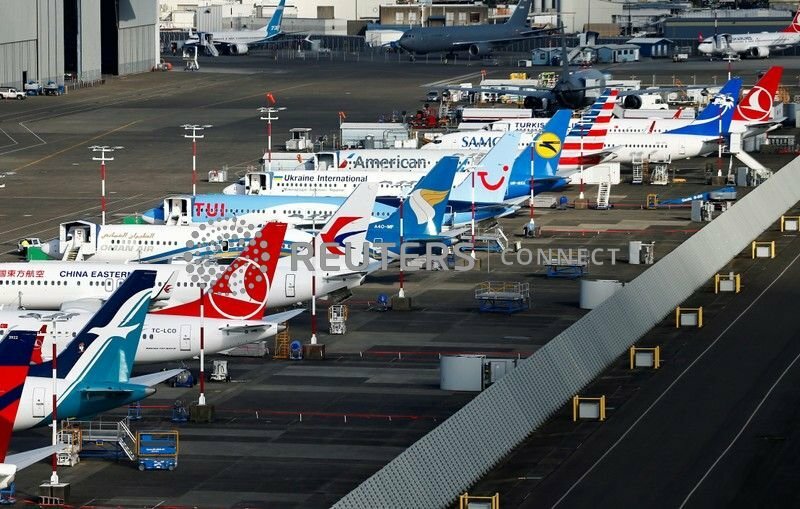 But the Ethiopian carrier, whose reputation along with Boeing's is at stake, issued a statement on Friday emphasizing the modernity of its safety and training systems, with more than $500 million (£378.6 million) invested in infrastructure in the past five years. Garuda talking about people being afraid to fly? lol Have they recently earned the right to even land in the USA? What has landing in the US got to do with it ? The 737 Max does not have that range to fly from Indonesia to the US directly. Garuda are saying that their customers are afraid to fly in the plane - Something you couldn't quite grasp about that statement ? What has landing in the US got to with it ? The 737 Max does not have that range. Garuda are saying that their customers are afraid to fly in the plane - Something you couldn't quite grasp about that statement ? I am saying for years Garuda was considered so unsafe they couldn't get certified so it is ironic. They were the last airline any person in their right mind would fly because of their egrecious safety record. But not anymore since they evolved. Since 2009 they have received safety certification to fly anywhere. Guess Garuda and their passengers are more concerned about the 737 Max'x dubious flight control systems then others are willing to let on to. The investigators in the US are now asking for Boeing whistle-blowers to come forward so it appears that there is a high level of concern perhaps that Boeing have been non-compliant in some areas. The FBI has started an investigation into criminal negligence by Boeing. The actual issue is, for years Boeing were considered safe, now that is in question. I do understand that people who hold Boeing stock may wish to discuss other matters. I did read recently (sorry, cannot cite) of an earlier Lion jet that experienced the same difficulties. It was apparently saved by an experienced pilot, riding in the jump-seat, who knew what to do. Is that the same FBI that held an investigation into the illegal use of computer equipment by a certain Hilary Clinton? I booked my next domestic flights with Air Asia Airbuses instead of Lion Air Thai. Currently, I find no information on the Lion Air website, whether there 737 Max 9s are still grounded or not. A troll post and the replies have been removed. It seems the planes that crashed only had 1 AOA sensor and if you want 2 sensors, Boeing charge extra.